Flexible and lightweight midlayer that can also be used next to skin. A mix of wool and polyester in the fabric gives this zippered sweater the best properties from the two worlds. Wool provides good thermal regulation, odor reduction and warmth even when wet. Polyester ensures durability and quick drying properties. 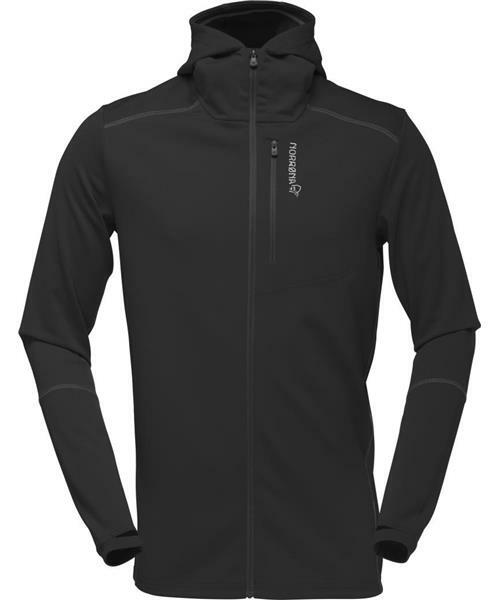 Features include integrated hand gaiters, chest pocket, full front zip and functional hood. * The warm 280 g/m2 fabric features reprocessed wool from old garments. The brushed inside layer is made by soft polyester to make it comfortable. 40 % reprocessed wool, 40% polyester, 18% nylon, 2% other fibers. Reprocessed wool means that it is reprocessed from old garment to be used in new garment, which is good for the environment.